2018 is going to be my year of prioritizing self-care and nurturing all that needs to be cared for inward vs. expelling my energy outwards towards activities, people, or tasks that don’t serve me. 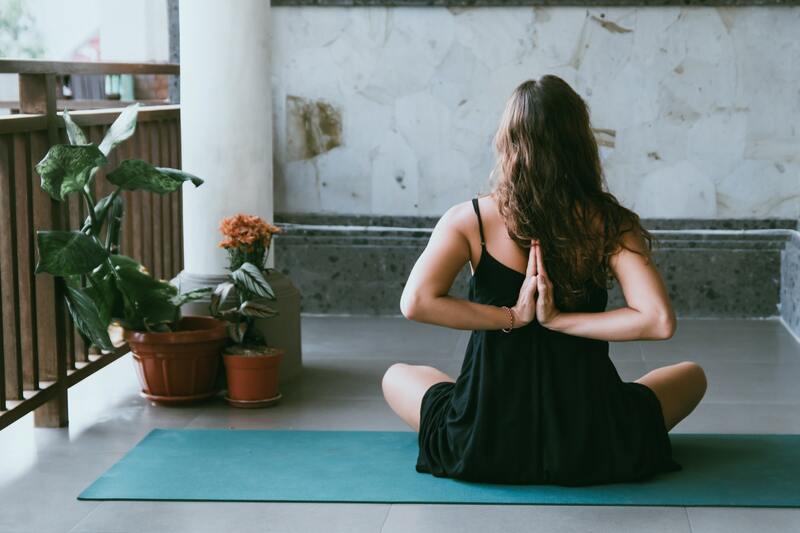 The whole goal of practicing self-care is to bring more harmony between mind and body. To give yourself an emotional break from daily stress, from technology, from thinking of the past or future, and to just be present. Practicing self-care helps regulate my mood and emotions and equips me with the stability, clarity and confidence to take on obstacles or challenges that I come across. A lot of these self-care rituals cannot be done in one day, some I do once a week, some I do every other day, but they are ones that I’m doing this season to bring a feeling of grounding, comfort, and warmth. 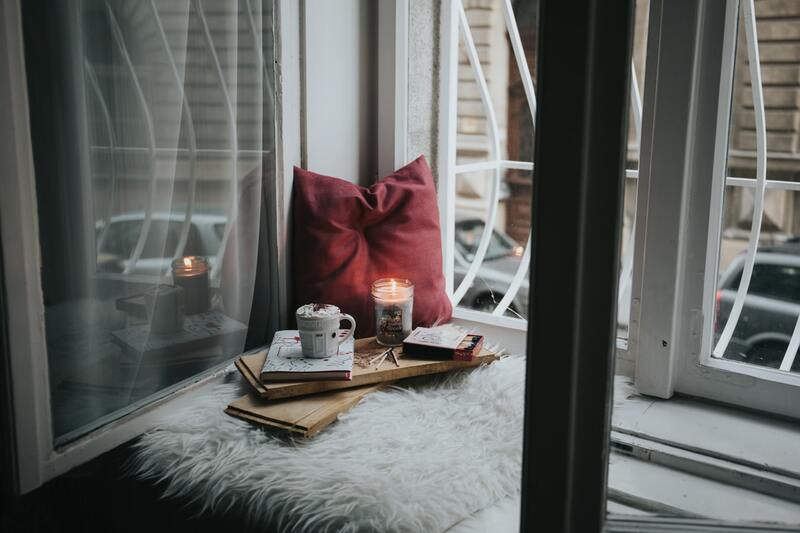 So here are some of my favorite self-care remedies I’m using this year (especially throughout the winter months) that will help me foster warmth, ground my mind, and provide a sense of coziness and reflection. I sip and savor my french vanilla coffee in a quiet, calm setting. I only use french vanilla coffee during the winter months as it gives me that extra feeling of coziness. It must be from my childhood when I would visit my cousins in Arizona during Christmas and we would always go to the convenience store and get hot chocolate with french vanilla creamer. Oh memories. Anyway, I make my coffee, sit in a quiet space, meditate , think of everything I’m grateful for, and allow myself to wake up and charge up my mind for the day ahead. I also read about 20 minutes of a current book that helps expand my consciousness, this time around it’s Emotional Intelligence 2.0 – anyone else reading that? I have to get some sort of movement to get my day started and since I can’t work out outside, I hop on the treadmill for 15-20 minutes doing running intervals while I watch the Real Housewives of Beverly Hills. I don’t know why I love this show so much, but it makes me happy in the mornings. I then take a long shower and de-puff my lymph with a jade roller: I am so obsessed with my new jade roller that my man gifted me for Christmas. I massage my face and neck every morning to clear out any lymph fluid buildup. The jade stone in itself always stays cold which helps tighten pores, and it supposedly gives off infrared rays which increases circulation. My current diffuser blends: Now-a-days I’ll want to make an essential oil blend that is warming and grounding since the environment around me is cold. 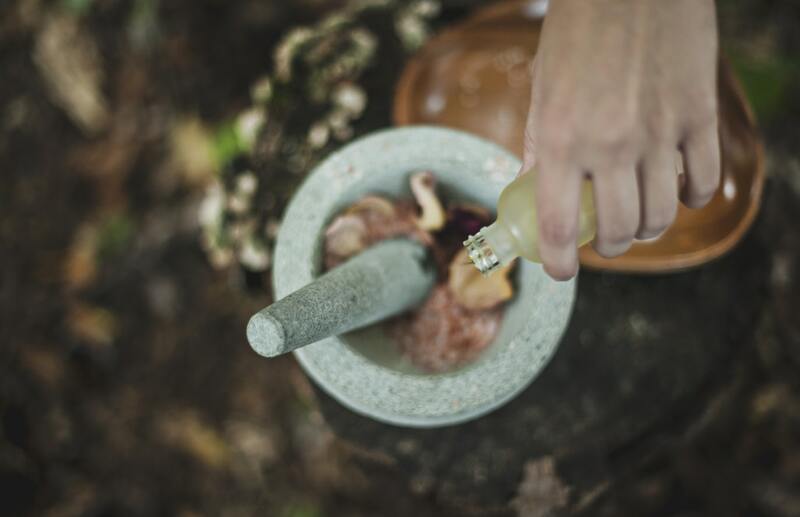 I’ll blend: 2 drops cinnamon, 1-2 drops of ginger, 1 drop of orange, and 1 drop of clove. This blend reminds me of all the holidays and festivities that happen during the cold months and brings back happy memories of childhood and comfort. The five minute journal: I was gifted the five minute journal for Christmas this year and love using it! The way it works is that you write down 3 things you’re grateful for each morning, a few things that would make your day great, and a few affirmations. In the evening you write down a few wonderful moments from the day, and a few reflections. You date each day and can go back and read back on the wonderful moments of life and your aspirations. Throughout the day I spray a hydrating rose water and spice mist on my face. I try not to wear makeup during the day to let my skin breathe. I recently had a bad bout of rosacea (from who knows what) and it would only get worse when I would cover it up with makeup. Ever since I stopped wearing makeup during the day my skin calmed down, and I give it more air to breathe! Now I take it a step further and carry around a face mist with a combination of rose water and herbs that will uplift my senses, calm my skin and give it much needed hydration since it’s so dang cold out. I’m all about vision boards since I’m a very visual person. I just like to print out pictures of interior design of homes I love, actual houses that I’d love to live in, my career goals, life goals and everything or anything that I want to manifest in my life. This brings me mental creative stimulation and boosts creativity. I love to just get paint together and create something abstract or color in vibrant adult coloring books. I’m really trying to eat seasonally here while still maintaining balance in my diet and eating as clean as I can with indulgences when I have the urge to do so. Lately I’ve been craving sweets at night so I’ve been starting to make this antioxidant rich spiced coconut milk which helps me feel extra cozy in the evening while delivering fat blasting, metabolism boosting, and comforting spices like cinnamon cardamom and clove. Sipping on Cinnamon + cardamom + clove milk: This is an especially warming tonic that I love to warm up and sip on during the cold months as it is resembles a sweet treat with a nutritional punch. Cinammon and cardamom helps strengthen insulin sensitive and balance blood sugar levels. Cinnamon is an extremely powerful antioxidant, and is even linked to reducing belly fat, while clove helps revv up your metabolism even more. Talk about a flat belly recipe! Indulging in a self-indulgent spa night: I’ll soak in an epsom salt bath with lavender and vanilla oils, apply face masks that are tailored to however my skin is acting that given day, massage in almond oil, paint my nails, or trim and prim whatever needs some sprucing up. I’ll then take my evening probiotic, enzymes, and vitamin D.
I then snuggle into bed by 9pm to rise by 630am the next day: I don’t fall asleep right at 9pm, I either read a book, smooch one of my toots, or watch an uplifting comedy like Portlandia or The Mick (I know so many people say don’t watch TV when you’re trying to fall asleep), but for me watching mindless and uplifting shows helps turn off my internal conversations in my mind that seem to never stop when I’m getting ready for bed.